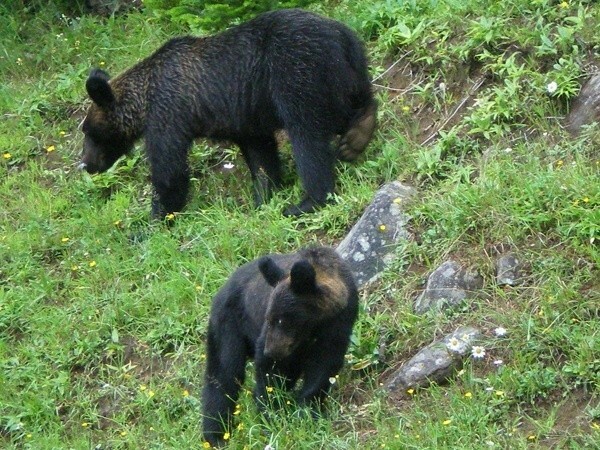 Brown bears often encounter cars along roadways in the deep mountains, but they also frequently appear in areas where people live. Tourists tend to approach brown bears when they find them; however, they are extremely dangerous and you absolutely must not approach them. If you do encounter one, move away from them. Do not raise your voice or run. Just slowly increase your distance. Running may spark the bear’s natural instincts to chase, so it is extremely dangerous. Brown bears are aggressive, but there are tours where you can safely observe them. 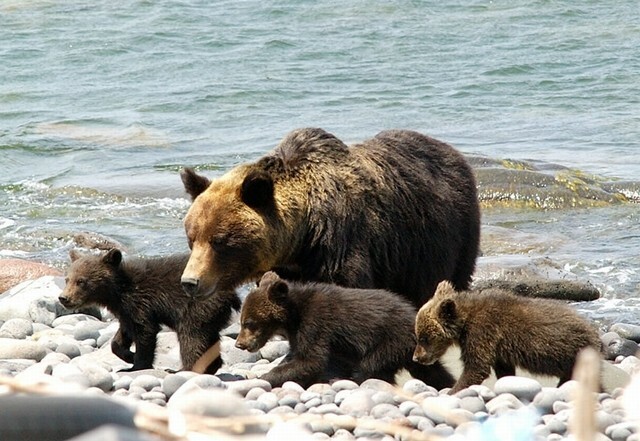 The “Bear Watching Course” of the Shiretoko Peninsula Utoro Cruise is recommended. The observation rate on the “Bear Watching Course” in 2015 was 96.4%. 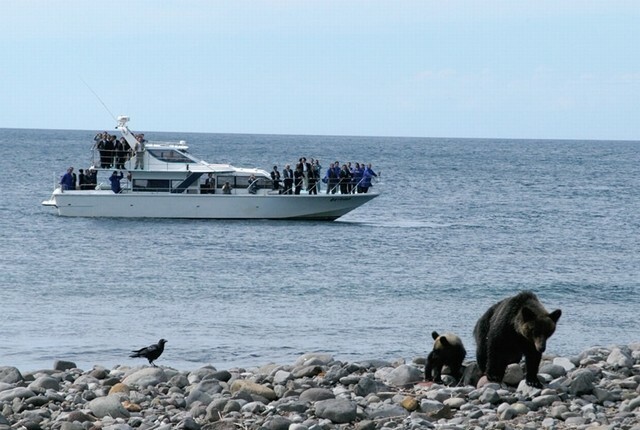 You can watch wild bears from the sea at this high observation rate. 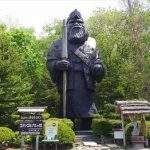 Both are rare bear-focused parks in Japan. It may be a good choice for those who cannot go as far as the Shiretoko Peninsula. 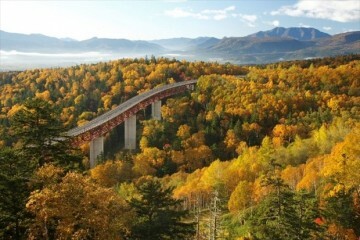 You can go to bear viewing during your trip in Noboribetsu. 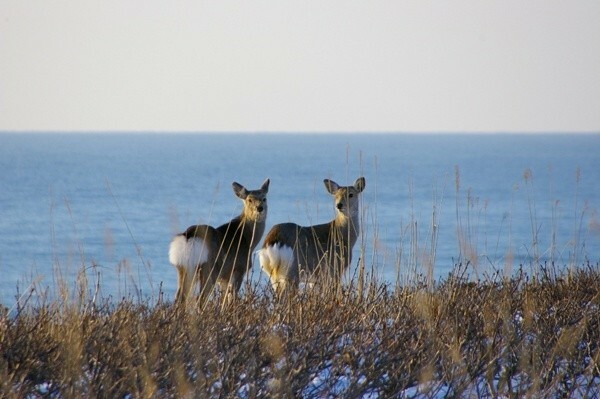 Sika deer frequently appear all over Hokkaido. Recent increase of Yezo Deer causes various injures by them. That’s why people started to eat deer meat. 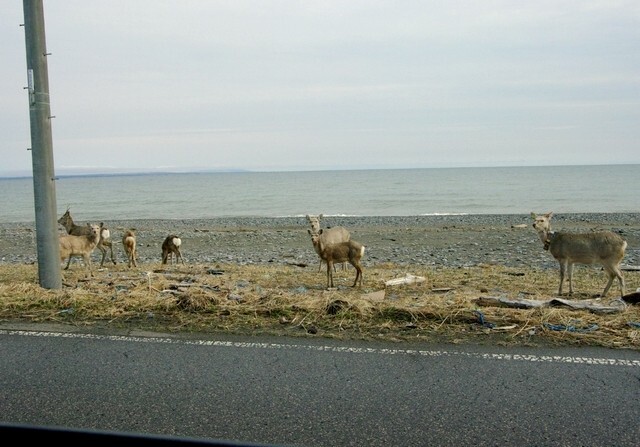 People often encounter wild deer while driving in mountains and forests. At times they are startled by cars and jump out, causing accidents. I, myself have twice almost crashed into a deer. When driving in Hokkaido, make absolutely sure to pay close attention and drive carefully. 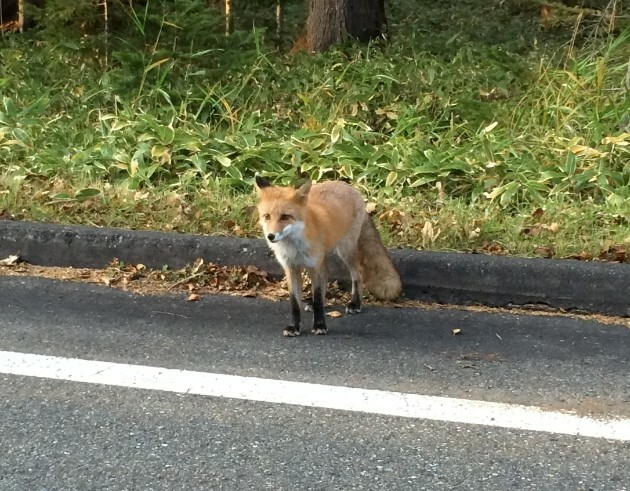 Like deer, foxes often dash into the road in Hokkaido, so it is possible to see them even on the outskirts of Sapporo. Fox sightings are particularly common when driving through natural or mountainous areas. Since they often dash into the road just as deer do, foxes also often get hit by cars. 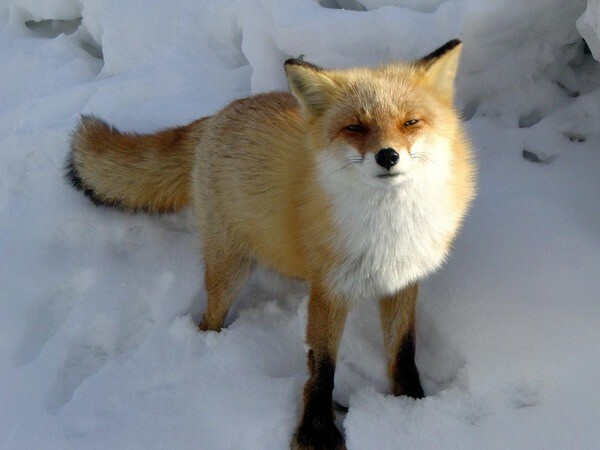 Ezo red foxes have fluffy and cute winter coats, but if you touch them you could be infected with the echinococcosis parasite, so do not touch them! Foxes in the farm freely roam over vast grounds where you can watch them at your leisure . Red-crowned cranes only breed in Japan and are a precious nationally-protected species. At first glance they do not seem very large. However, they’re the largest bird in Japan at 2.4m(7.9ft) when they spread the wings. In kanji, red-crowned crane (“tanchou”) is written “丹頂.” The 丹 means “red” and the 頂 means “top of the head.” It is said this is where the bird’s name comes from. 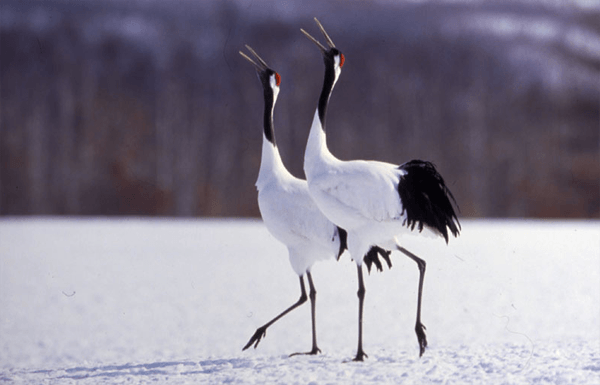 Red-crowned cranes live in Hokkaido year-round. 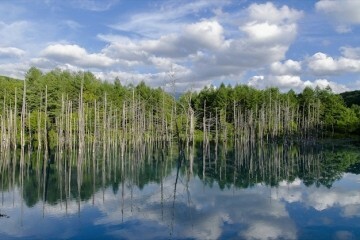 Their most famous habitat in Japan is the Kushiro Marsh region. 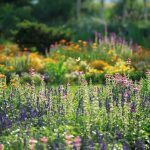 In Tsurui Village, Akan District, the “Tsurui Ito Tancho Sanctuary” has a feeding area and nature center. In the feeding area, the birds are fed when food is scarce between November and March. You can view the cranes up close as they gather for the food. Closed：Every Tuesday and Wednesday (Open on Japanese national holidays.) ※If the sanctuary is closed, you can still observe and take pictures of the cranes. Blakiston’s fish owl is the largest owl in the world, and an endangered species: only about 140 owls currently remain. They are not so easy to find with such a small number of owls in the vast space of Hokkaido. 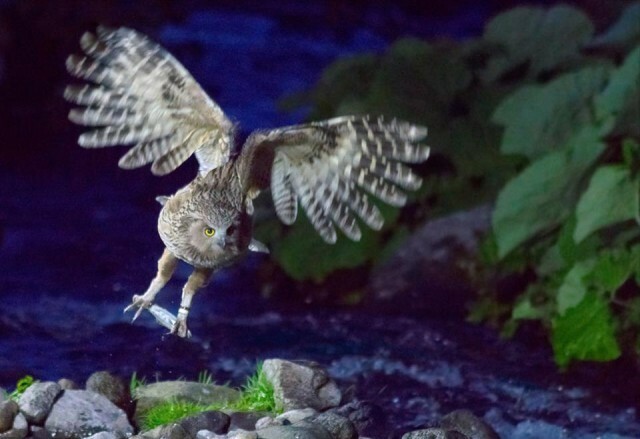 The “Washi no Yado” guest house is a famous location for viewing these owls. 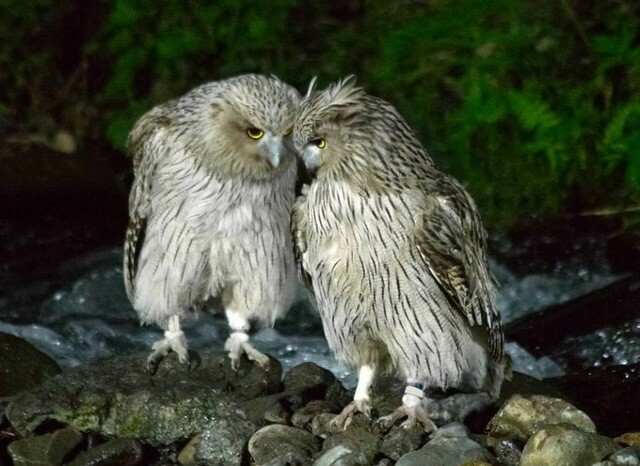 It was originally established to offer lodging services, but recently added the “Fish Owl Observatory” for tourists. Visitors can view and photograph owls without having to stay. 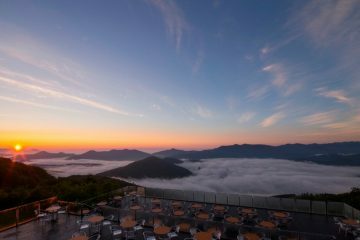 The guest house operates by reservations (limited staff), so you must call and confirm ahead of time. The Shiretoko Peninsula has been registered as a UNESCO World Heritage Site. It is filled with untouched nature and bountiful seas. 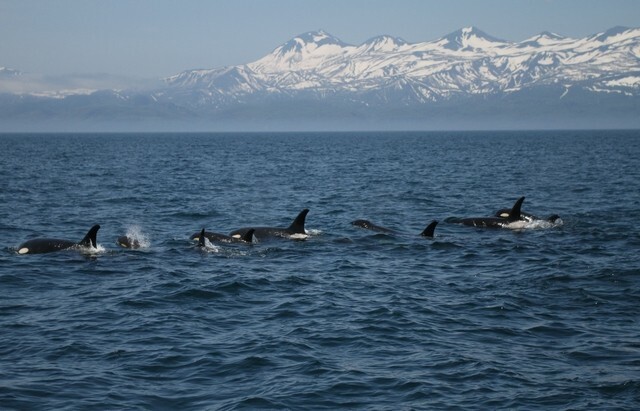 In the Nemuro Strait of Shiretoko and the Rausu open sea, you can encounter orcas, dolphins, and sperm whales. The cruise boat for viewing orcas up close is recommended. Orcas are brimming with curiosity, and if you’re lucky they may come right up to the ship! 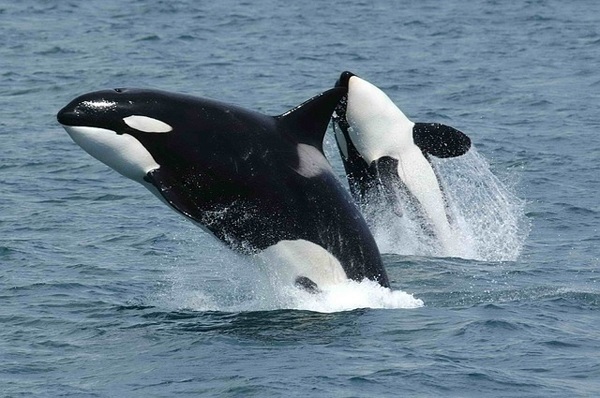 May through July is the season with the highest chance of viewing orcas. You should come visit Shiretoko at this time if you really want to see orcas. Even in summer, Shiretoko temperatures do not rise above 20℃ (68°F), and you feel the cold more strongly in the open sea. Please enjoy orca and dolphin watching with full preparation for the cold. Squirrels in Japan are imagined to be small, but the Eurasian red squirrel has a body length of 25cm and tail length of 20cm. You can find them if you pay close attention in the Hokkaido forest, but they may also suddenly appear while you are walking in the woods. One popular place where you have a high chance of meeting them is the Momo Cafe, which is trending on Twitter. This café is so small, so they might not have space when it is crowded. You should be careful about it. Lake Tofutsu in Abashiri City stretches out along the Doto Sea of Okhotsk coast.It is also a wetland that has been registered in the Ramsar Convention. 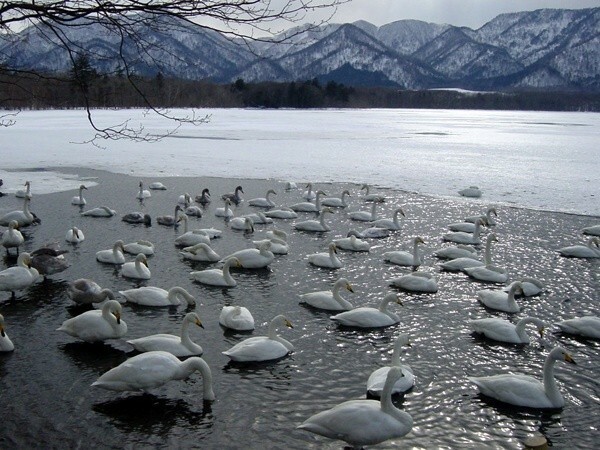 The Tofutsu Lake region is a stopover point for migratory birds, so many different wild birds visit there. Swans visit between October and April. 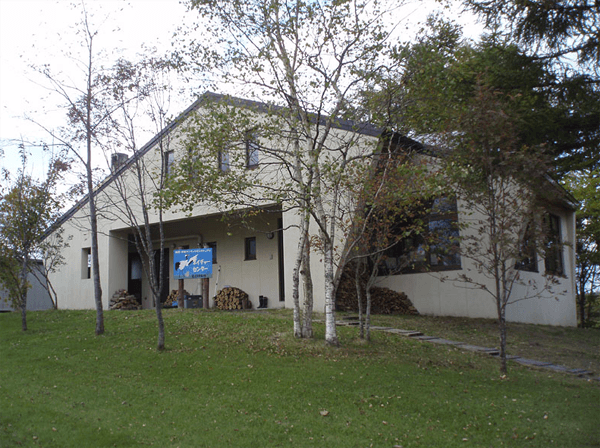 The “Tofutsu-ko Waterfowl and Wetland Center” has exhibits on Tofutsu Lake area nature, history, and culture. You can enjoy bird watching from inside the facility. Steller’s sea eagles and white-tailed eagles are nationally-protected species as well as endangered species. 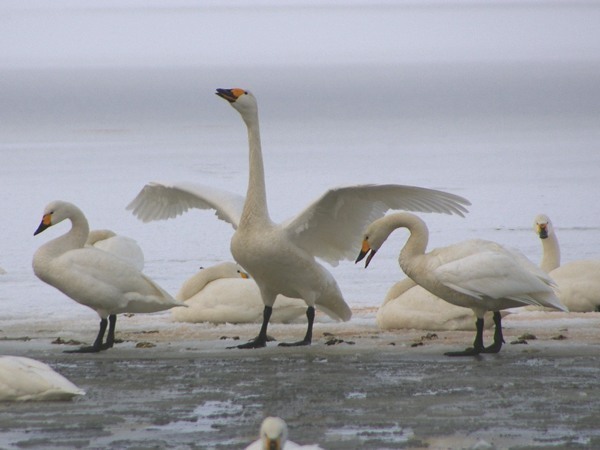 These birds live in the northern Eurasian peninsula and migrate alongside the Sea of Okhotsk and Nemuro Strait between around January and April. 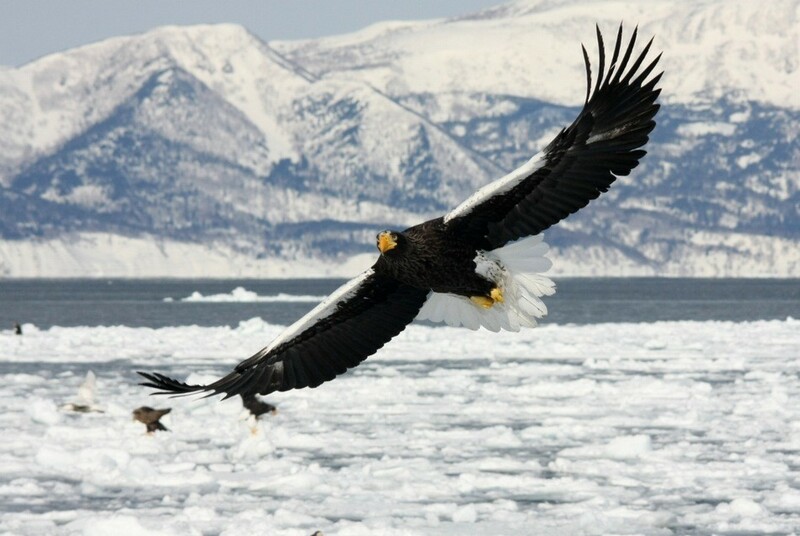 In particular, you can see many Steller’s sea eagles and white-tailed eagles when they come seeking fish amongst Rausu, Nemuro Strait coast fishermen in winter. 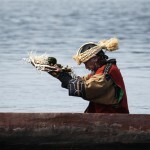 For that reason, many foreign and domestic photographers and tourists visit seeking those magnificent figures. If you want to fully enjoy eagle-watching, the sightseeing cruise boat that departs from the Rausu harbor is recommended. You can see them dancing over the surface of the sea, or resting their wings on ice floes in the colder season. They also gather around breakwaters. The best way to distinguish Steller’s sea eagles from white-tailed eagles is the beak. Steller’s sea eagles have bright orange-yellow bills, whereas white-tailed eagles have paler beak. Also, Steller’s sea eagles have overall white and black coloration, while white-tailed eagles are greyish. 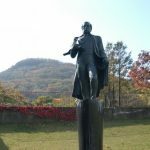 Why not visit Rausu in winter in search of these beautiful and grand figures? All nine of these animals are fascinating! Did you find your favorite? 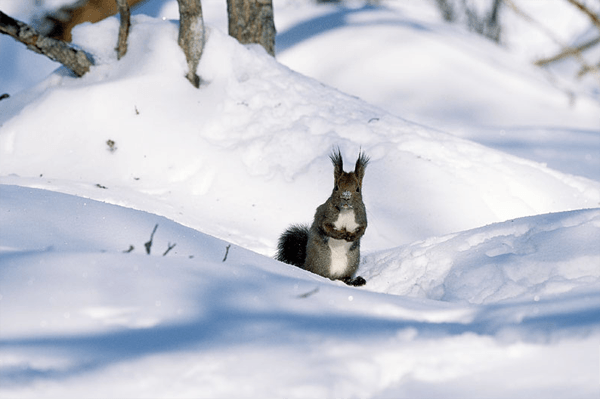 You will encounter wild animals all over Hokkaido, but please respect the following rules. ・Do not park your car in dangerous places (even if you encounter an animal while driving). 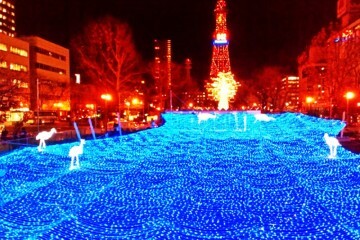 ・Do not take flash photographs (especially with nocturnal animals). ・Participate in highly credible guide tours and diligently follow the guide instructions. This completes the points of concern. 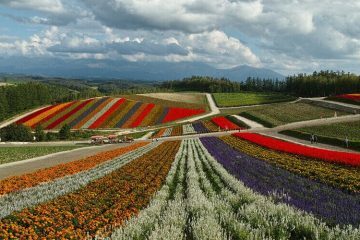 You simply must visit and deeply experience the expansive nature and wild animals of Hokkaido!